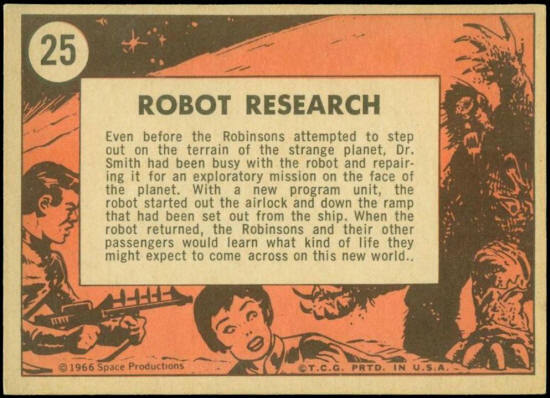 Even before the Robinsons attempted to step out on the terrain of the strange planet, Dr. Smith had been busy with the robot and repairing it for an exploratory mission on the face of the planet. 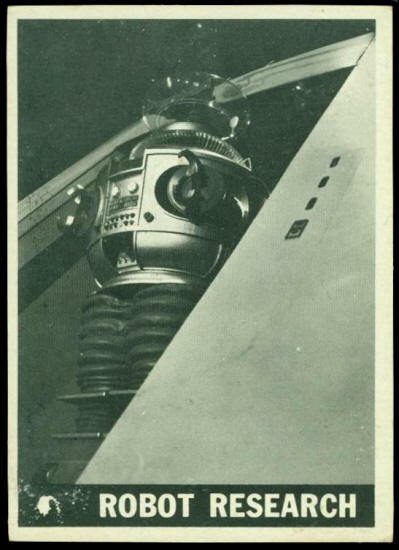 With a new program unit, the robot started out the airlock and down the ramp that had been set out from the ship. When the robot returned, the Robinsons and their other passengers would learn what kind of life they might expect to come across on this new world.